Not too long ago, I figured that surely I had by then reviewed the most important players in the field, only to be tipped about some interesting brands hitherto unknown to me in the comments. 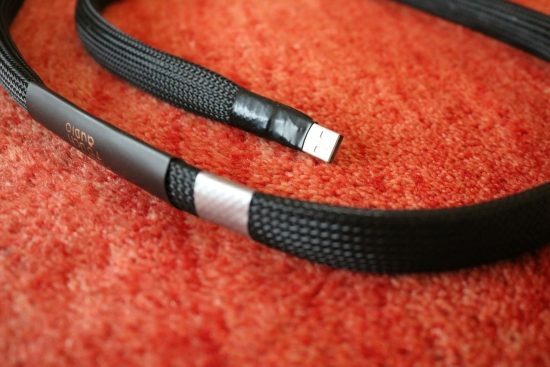 These days, more companies are producing specialist USB cables than I can keep a handle on. 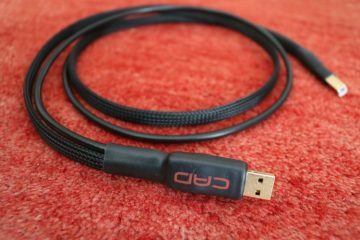 Only recently, I reviewed USB cables from Curious Cable and Computer Audio Design and was impressed by both. Apparently, there is always going to be a new contender right around the corner. Nevertheless, at this stage, I truly figured that I had by now more or less heard all the aural flavors that exist in the elusive and wonderful world of USB cables but then, of course, more suggestions were made via the comments. Well, I’m glad that I requested the Final Touch Audio Callisto USB cable, for it manages to provide a delivery that is different from all the USB cables that I have reviewed so far. Basically, and normally, I’d categorize USB cables in four camps. 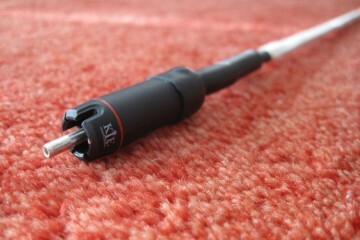 On two opposing ends, you have the controlled and precise sounding cables and the relaxed and smooth sounding ones. 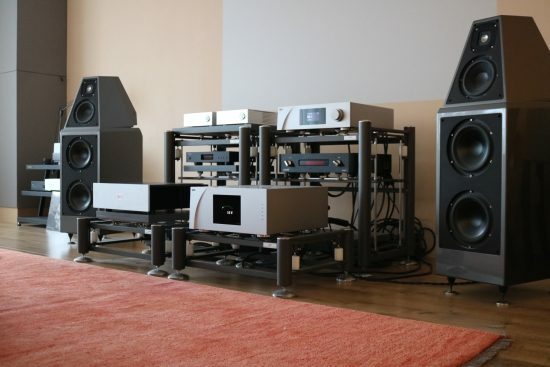 On the other two opposing ends, you have airy and ethereal sounding cables and sonorous, earthy sounding ones. Most of the time a USB cable falls into one of these camps but, of course, there are also cross-breeds. The Callisto, however, deviates very positively from the above descriptors. Now, I know that there are very sane reasons for believing that USB cables cannot make a difference. But I am also aware of several theories that try to prove otherwise and I’m also open to the idea that there may be other mechanisms at play that we have not yet discovered. That said, I don’t consider it my task to prove or disprove anything. What I aim to do is to relay, as precisely and as objectively as I can, what I hear. FTA cables are made in Serbia, a country that is located between Italy and Romania while the distribution is handled by Goran Vukmanovic from Switzerland. 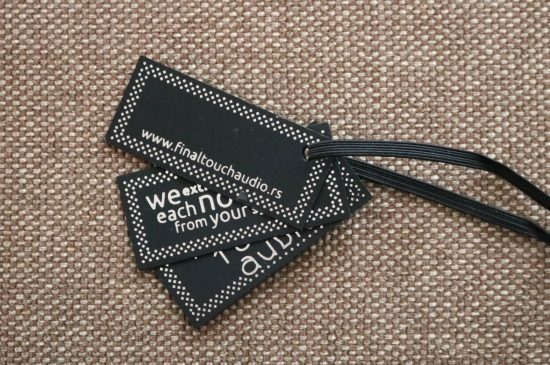 The most important person for Final Touch Audio (FTA) is Zoran Zubcic from Belgrade. He is the one who designs the cables and makes each single one by hand. The Callisto uses copper wire which Zoran managed to find from a local supplier not looking for the usual buzzwords such as cryo treated, OFC, 99,9999 pure copper wire etc., but rather he was looking for something which has a high content of Ag and Au in it. The wire he sources is mechanically treated (by means of hammering) in order to achieve the desired thickness and the shape. Zoran experimented for several years with different wires, geometries, dielectrics and he said more or less they sounded all similar until he found the right mix of everything. Zoran is quite certain nobody in the industry is currently using this blend of things as he does with the Callisto. The cable I received is 1.3m in length and has the 5v connected. 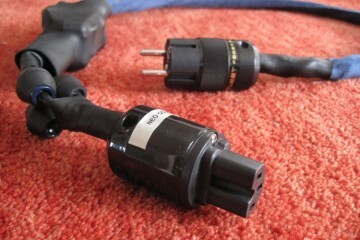 The cable can also be delivered with the 5v disconnected for the same price. Goran informed me that the cable that I was sent for review is brand new and that the majority of users reported back it needs about 100+ hours to perform at its best, but that it should perform well from the beginning. To be honest, I hear all kinds of influences in pretty much every aspect of the replay chain but I’ve yet to become aware of audible aspects of digital cable running in. And indeed, I can’t say that I witnessed a change in sound between the first use and after it had been used for about 60 hours. If I do notice changes when I hit the 100-hour mark, however, I will add this to the review. The Callisto USB cable will be reviewed between the Antipodes CX+EX and the CH Precision C1 DAC that is connected to the CH Precision A1.5 power amp using a Cardas Clear XLR cable. Speakers are the Wilson Watt Puppy system 8, connected using a Jorma Design no.3 speaker cable. Power cables are all Belden 19364 with Bals schukos and Oyaide 004 IECs. Although it was brand new, from the very first minutes of playing, the Callisto presented itself differently from the other USB cables I heard so far. It combines world-class transparency, tightness, and articulation with an immensely free-flowing fluidity and this in itself is quite unique. I’ve heard very precise cables, and very fluid ones but rarely are these two aspects combined and when they are, so far inevitably, bass precision and speed suffered. The Callisto also has the widest and deepest soundstaging that I’ve heard with any USB cable so far. 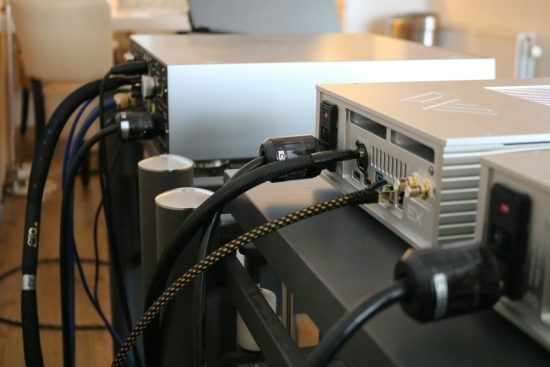 Whenever I had the ability to compare USB to SPDIF via coax or AES/EBU, or I2S for that matter, using the same equipment, the other connections always allowed for a deeper and more enveloping soundstage than the USB connection. But with the exception of I2S, at least for the experiments that I did using the PS Audio Directstream DAC + Memory Player and the Pink Faun streamer 2.16x + Aqua Formula xHD DAC, USB has always countered with tighter bass and overall higher precision. The Callisto USB cable, however, manages to have a deep and enveloping soundstage while also being very articulate and precise. And in spite of its huge soundstaging and free-flowing qualities, the images within the soundstage remain solidly in place. The Callisto’s most impressive aspect for me is its lyrical delivery. It has a way with melodies that defies brain-satisfying technicalities such as precision and transparency. When a musical delivery is lyrical, it picks you up and sweeps you along in a mesmerizing way that makes you want to never stop listening. I cannot stress enough how important of an aspect this is. Sure, I tend to go on about the bass quality and natural timbre but maybe the lyrical aspect, the sense that the music you are hearing is made by living and breathing people who enjoy performing for you, is even more important. How USB cables, in general, can make for such differences is beyond me in the first place but just how the Callisto manages to combine all these virtues in a single cable is even more of a mystery. As I mentioned in the intro, I have reviewed a respectable number of USB cables and have pronounced several cables as being my reference at any point in time, only for this to change at some point later on. Oftentimes my focus merely changed and I favored different aspects of the reproduction. Other times, this happened as a result of changes in my system and now and then, a cable comes along that is simply a better match than the previous favorite cable. Here’s how the Callisto compares to some of my other favorites. 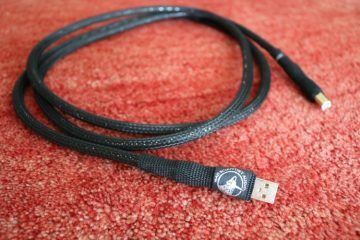 The Mad Scientist Black Magic USB cable also has a very large soundstage and a decidedly free-flowing delivery with an immense smoothness. 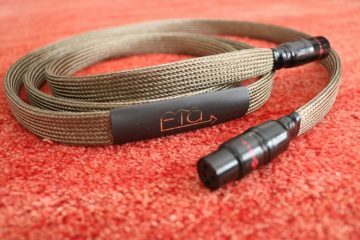 This forgiving cable is the ideal antidote for edgy or forward sounding systems and it remains a very pleasant listen but it is not the tightest, fastest or most articulate cable around. The Callisto is not as creamy-smooth but just as spacious and free-flowing while also being highly articulate and precise. The AudioQuest Diamond USB has been a long-standing favorite up until I reviewed the Curious USB and the CAD USB 1 and indeed when I listened to it again now it still has a high-res delivery with a lot of refinement but it has always sounded a bit lean and slightly too controlled. When I first reviewed it, I assumed that it was simply more precise than the cables that preceded it. 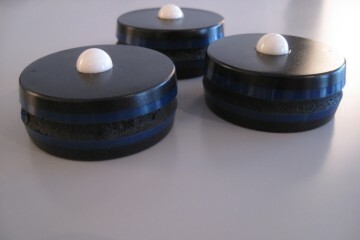 Sure, I may prefer a fuller or richer sound but that would be a colored sound, right? The CAD USB 1 proved otherwise, with full, sonorous bass and a richly-textured midrange, while retaining all the precision and articulation that I was used to but without sounding colored. 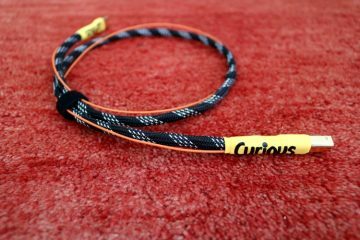 The Curious USB cable does not have the sonority, bass solidity and rich midrange of the CAD but it is so upbeat, energetic and enthusiastic that it trumps the others, including the Callisto, in terms of “rocking out hard”. 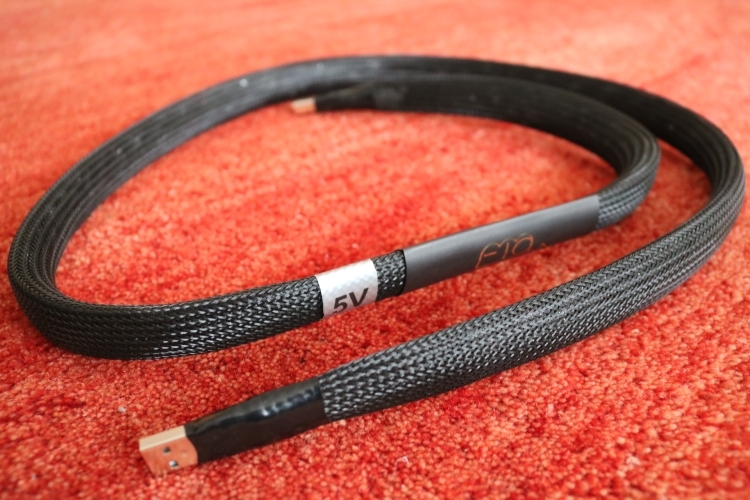 I mentioned that the relaxed and smooth-sounding Mad Scientist Black Magic is the perfect antidote for edgy or forward sounding systems and as beautifully transparent and refined the Callisto cable is, it is also very revealing of the source. The Antipodes combo has an inherently solid and sonorous delivery that works beautifully with the Callisto USB cable. The considerably tighter and more astute-sounding Pink Faun 2.16X server, however, is very spacious itself and with its lively midrange worked more synergistically with the more sonorous CAD USB 1, showing just how important it is to seek the best cables for every application. While the CAD remains my favorite if I want Wadia-like bass solidity and the Curious remains the most toe-tappingly exciting listen, neither of these cables is as finely refined, as heavenly free-flowing, or as utterly lyrical, as the Callisto. The Callisto does not have CAD-like bass solidity but it is fast and precise and extremely nimble. 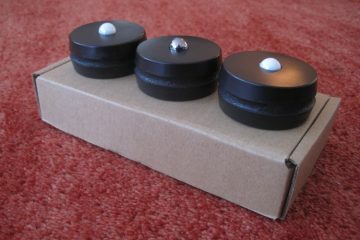 But even though I consider myself to be a bass-fetishist, I am currently most taken by the overall delivery of the Callisto. Audio equipment synergy and cable matching remain relative matters and very personal ones at that. Just how any cable performs in another system is often a matter of just trying it out. All I can say is that with my current system and my set of preferences, I so enjoy the Callisto-Antipodes combination that it is as of now my main USB cable. 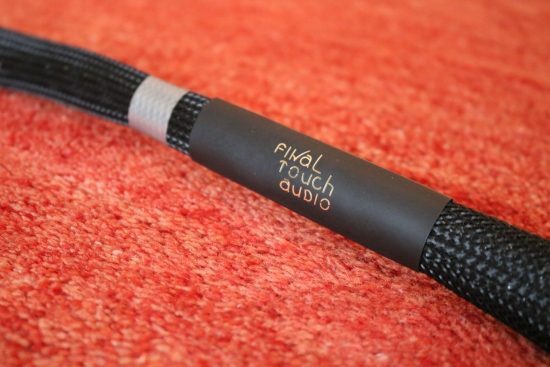 The Final Touch Audio Callisto is unlike any other USB cable that I heard so far. Not only does it combine aspects that not normally go together such as very high precision and enormous transparency with a fluid, natural delivery and a huge soundstage that completely envelops you but it also has an utterly engaging and lyrical presentation that really makes music come to life. 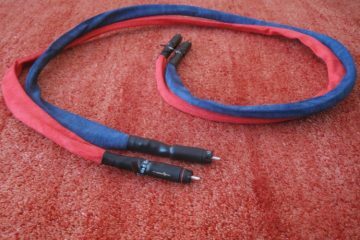 excellent review, thank you for following my suggestion to review this cable. 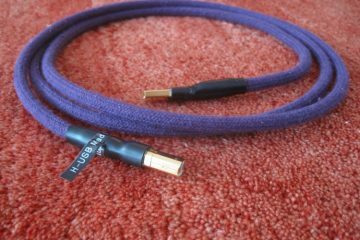 To complete your reviews of USB cables , may I suggest to review the Phasure Lush, either the original version or the newer Lush^2? I share the same opinion about Lush_2, it is much too tweaky. But can you review the original Lush, it is now an appreciated USB cable, a lot of people go either for it or a Curious USB and it is even less expensive than the Lush_2? Hi Matthias, ok, I’ll put it on the list. AFAIK, both lenghts of Callisto have the same price. Hi Matthias, the pricing info as it is displayed in the article has been confirmed by the manufacturer. Thanks for the nice follow up on the DS. Would love to add two great candidates from across the Channel: Sablon and TelluriumQ. I replaced Clear Beyond with Diamond as XLR IC and I am very happy where I am. Hi Riccardo, I had already looked at Sablon Audio but I just can’t get past the sigar-smoking ladies. There are no pictures of their products, only text inside a tiny frame. I don’t know what to make of it. It’s a strange, strange website that does not inspire me to contact them. I can’t make promises but will add TelluriumQ to the list. He is a big Lampizator fan. and strongly suggesting to test it…..
i suspect there is something wrong i should know from you about this DAC…..or not? 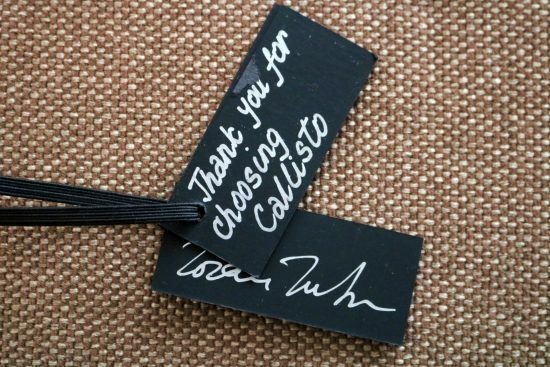 Hi Luca, the Callisto sure is a special cable and I’d certainly give it a try if you can. Lots of brands are not on my site and that can have various reasons, not necessarily that I don’t like a certain brand. I know of Lampizator but the brand is pretty much invisible in the Netherlands. I’ve not come across his equipment yet so I don’t have a professional opinion on it. 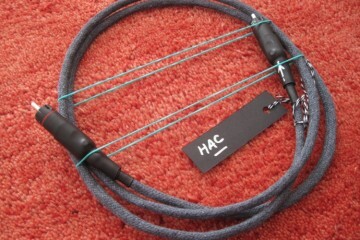 This time not about the cable but rather about the LampizatOr DACs. 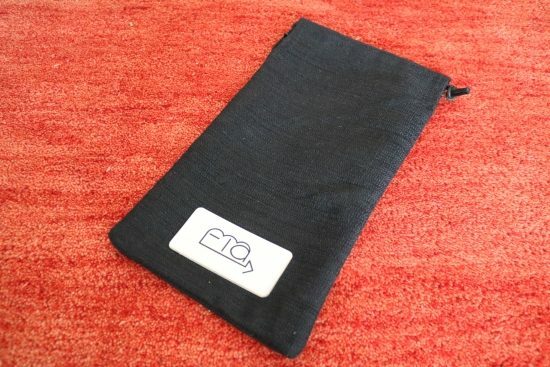 Big guys (boys 🙂 ) have been connected, so I hope they will soon arrange a review of a Lampi DAC – very much looking to it myself! Many thanks for the very positive review on behalf of Zoran and also myself! 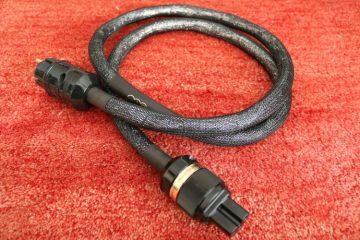 We are especially glad due to the fact that request for the review came from your side seemingly by the word of mouth spreading a nice things about this cable which was at the end confirmed by you. Martin Logan 15a Marc here. I’ve said on your other reviews how thoroughly I enjoy your reviews over all others out there…but…when it comes to cable reviews I keep my comments to myself. I’m one of the guys on the other side, believing in the science that nearly all cables are identical no matter what the price….except maybe when changing the material from copper to silver as that does change the sound. That said, I don’t want to get into a debate about cables. I do however have a question based on my belief though concerning cables that transmit digital signals…aka…the USB cable you are reviewing in this case. Question–other than the power lines in USB cables, aren’t the other lines simply transmitting 1’s and 0’s? Thus they either work…or they don’t? ?